FORGET HISTORY (ESPECIALLY 2016). READ THE LATEST GENRE-BENDING NOVEL FROM THE AUTHOR OF THE MAN FROM PRIMROSE LANE. 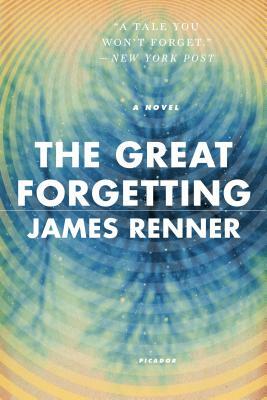 When history teacher Jack Felter gets a call that his father, a retired pilot suffering from dementia, is quickly losing his last, precious memories, he reluctantly returns to bucolic Franklin Mills, Ohio. It’s been years since he’s been home. Jack has been trying to forget about Franklin Mills ever since Sam, the girl he fell in love with, ran off with his best friend, Tony. But Tony is gone, now. Vanished. Everyone assumes the worst. Soon Jack is pulled into the search for Tony, but the only one who seems to know anything is Tony’s last patient, a paranoid boy named Cole. As Cole pulls Jack into his web of conspiracy theories, the two of them team up to follow Tony’s trail—and maybe even save the world.